Ms. Edwards is a member of the Business Practice Group with experience in all areas of business and commercial transactions. 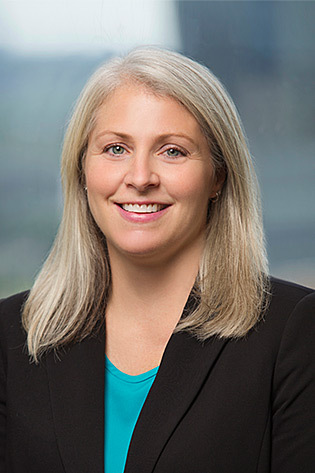 Prior to joining Mitchell Williams, she served as assistant general counsel in real estate for a Fortune 500 company where she primarily negotiated and drafted contracts for the operation, lease, purchase and sale of commercial real estate. Ms. Edwards advises individual and business clients in all commercial transactions including a variety of real estate, public finance, entity formation, corporate governance and general business matters. She has experience in taxable and tax-exempt and public and private finance transactions, as well as real estate and project development. Ms. Edwards also has experience with tax matters related to estate planning and municipal finance transactions. Represents individuals, real estate developers, property managers and retailers concerning the conveyance, purchase, development and leasing of real property, and real estate title and survey matters. Advises clients on municipal finance, taxable and tax-exempt transactions and reviews and prepares financing documentation. Represent numerous financial institutions on all matters relating to lending and commercial transactions and reviews and prepares loan documentation. Advises various business entities on entity selection and has organized corporations, limited liability companies and non-profit entities. Advises clients on matters related to corporate governance, restructuring, acquisition and sale of businesses. Development and implementation of estate planning for individuals and families.